Porcelain collectibles from Japan are affordable as well as eye-catching. 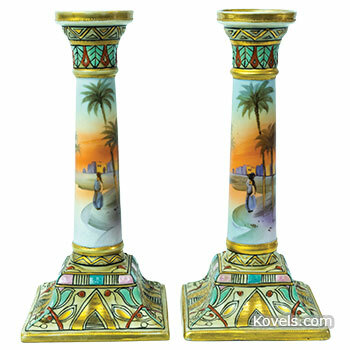 This pair of Nippon candlesticks trimmed in gold auctioned for less than $40 in Indiana. Find more Nippon pieces and prices. A Chicago auction of vases, lamps, and artwork from a famous collection of the quirky Jim Walrod attracted worldwide buyers. 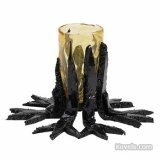 Included was this unique Gaetano Pesce Fish Design vase. Find more visual treats. Karl Springer’s luxury furniture is known for its unconventional materials and shapes. 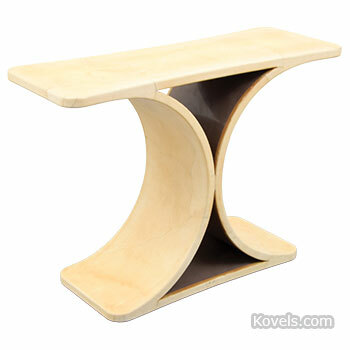 Explore the world of Springer furniture. 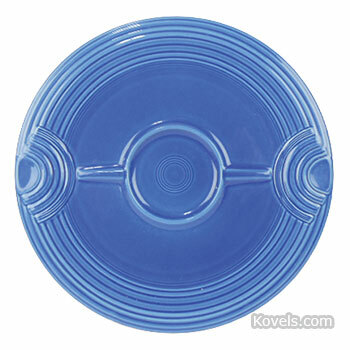 Since 1936, Fiesta tableware has enjoyed a large and ever-growing following. Color is its most notable draw. 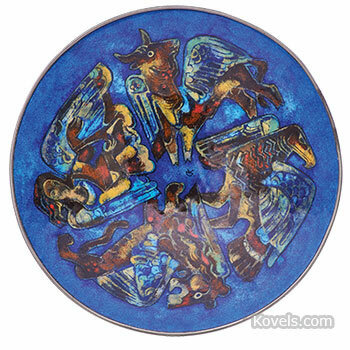 Rare colors like this Sapphire hostess tray get higher prices. Join the party for more photos and prices. Nostalgia and reliving childhoods are what draws collectors to vintage toys. Antique transportation toys evoke images of bygone times. Original paint and good condition drive prices higher. 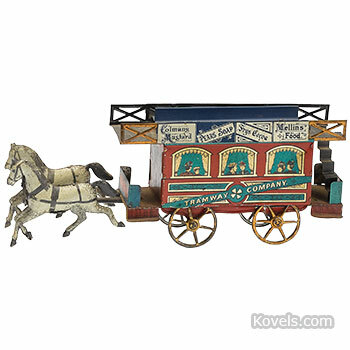 This tin lithograph horse-drawn trolley by Richter even has advertising placards. For more photos and pictures trot over to the article. 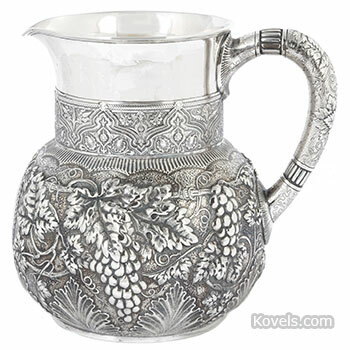 Decorative silver items are durable and versatile. Collectors use their silver pieces and also display them. This Tiffany pitcher has retained its beauty for more than 100 years. For more prices and photos. . .
Bobbleheads, with oversized, bouncing heads, first grabbed sports memorabilia collectors’ attention in the mid-20th century. 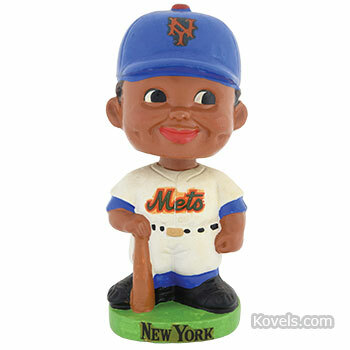 Also called nodders, these figures represent hundreds of sports teams, mascots and players – like this little New York Mets batter – as well as their mascots. Rare examples in original boxes cost more. Run over to the article for prices and more photos. Pocket watches, lapel watches and chatelaines drew collectors to a recent sale of timepieces that hadn't been offered for sale in decades. 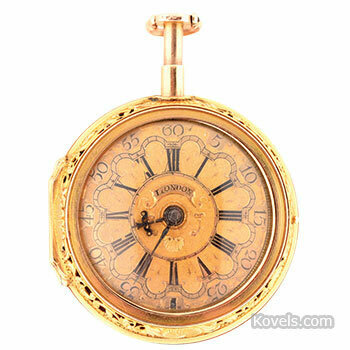 Buyers looked for high-quality watchmakers, expensive materials and multiple functions like this 19th century 18K gold Berthoud watch. Spend some time and see more photos and prices. Karl Drerup enamel-on-metal pieces are on display throughout the world. This 10-inch bowl, picturing the Four Evangelists, shows his meticulous style characterized by layers of color. His non-religious enamels garner most attention. To see them and their prices, flip to the article. 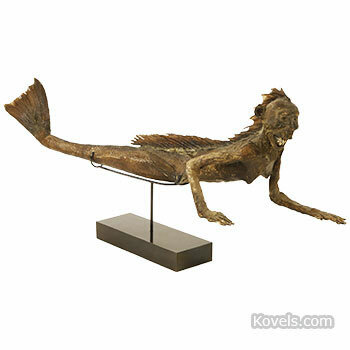 How do you find a taxidermied "mermaid"? This one sold at a recent auction for "out of the ordinary" items that rarely are sold. These discoveries can be a highlight or a conversation piece of any collection. Bet you can't guess what other items sold. Check them "out" along with their prices.